We had several visitors for our services that day. Terry had all of the Mothers stand to be recognized by sharing the names of their children. Then, he did something very special. He had anyone who had a mother who had passed away stand and share the names of their dear mothers. This was a very tearful and touching time. I was so happy that my Mom was there to share the name of my precious Grandmother, Nona Leonard. Just hearing her name conjured up images in my mind of a white haired lady preparing delicious food, especially her chocolate pie, from a cozy kitchen on their farm in northwest Arkansas. Oh, how I miss her! After we had honored all the moms, a sweet lady stood up and said, “May I say something? I just wanted to share with you all that I just got saved on May 6th and I’m so happy to be here!” This brought more tears to my eyes! The church broke out in applause to the Savior and rejoiced, along with the angels, in this dear one’s salvation. 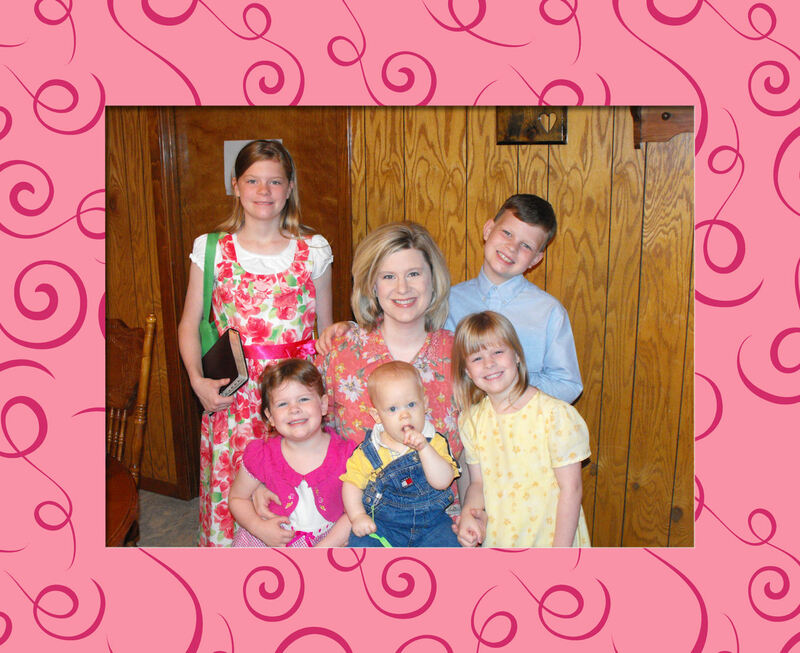 I couldn’t ask for a better Mother’s Day gift – to hear of a soul saved! My sister is a wonderful pianist, and she was able to play a special Mother’s Day song for my children to sing. This was a special hug from the Lord. I’ve mentioned in other posts that we’ve had a mass exodus from our church gradually over the last year. We’ve lost about 20 people. Included in that departure were our pianists. I thought about this Mother’s Day song about a month ago, wishing we could perform it. However, the lady who played it for us last year is gone. I admit it, I kinda felt sorry for myself for about five minutes, mentally scourging myself for not sticking with my piano lessons as a child. Then, after I was well beaten up, I moved on, putting it behind me. The Lord proved again that He is concerned about even the small things of my life when He sent my sister to us on this particular Sunday! I know it was the Lord! He is so good to me!! Below is a video of our song, “My Mother’s Gentle Love” written by Ron Hamilton. At the end, my tender hearted boy starts tearing up. He then gets shy and decides to hide his face. It was a precious moment, and I, seated on the front row, started tearing up, too. 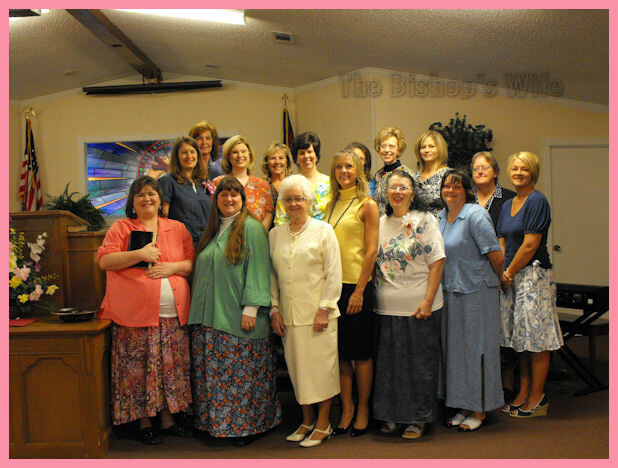 Below is a photo of all the mothers who were present on Mother’s Day at Grace Baptist Church! I don’t know why I didn’t think about getting a photo with my Mom and sister! I suppose taking care of the little ones, preparing lunch and visiting with folks at church caused it to slip my mind. My husband preached an excellent message, sharing his mother’s testimony. He shared some things that my mother-in-law did for him when he was away from the Lord that helped him to get right and keep going. I had never heard the particulars of this before, and it blessed my heart. I already admire her so much – she has sacrificed so much for the cause of Christ, she has a great sense of humor, and she is a talented seamstress, singer, pianist, and the list goes on! I am blessed to have wonderful, godly parents and in-laws. I have a godly Grandmother in Heaven and a godly Mother and Mother-in-law on earth. My prayer is to keep the legacy going. Oh how very sweet this was! I enjoyed the song from your children. Thank you so much for sharing this special day with your readers!